Rice broth — a well-known very effective agent used for intestinal disorders and diarrhea. Its big advantage is the availability and lack of chemicals, allowing rice broth can be given to adults in need of dietary nutrition, and children from birth. Kids can add the broth in a bottle with the mixture. To prepare the rice broth to all the rules, use rice flour. You can buy it in special sections with products for baby and diet food. If you did not buy the rice flour, you can make it yourself. For this figure you need to sort, wash and dry it and then grind until the consistency of flour. It is your regular, well-washed, coffee grinder. A small amount of rice flour dilute in half a glass of warm water. You need to gently stir the flour, leaving no lumps to rice broth with drinking. The remaining water in a saucepan, bring to the boil and then pour into it the rice solution. Stir constantly until the broth, it needs to have a uniform state. The decoction should not be strong, the ratio of water and flour usually equals one to ten. Keep on the fire rice , the broth takes about five minutes. Then cool it and let the patient to drink with a spoon. 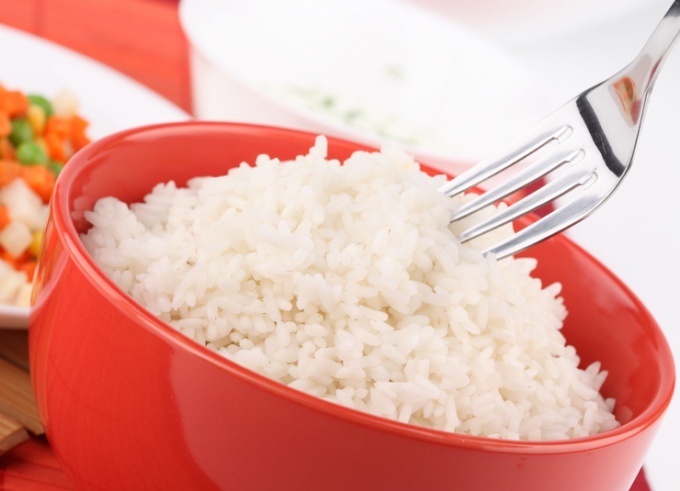 Of course, it's not like all the rice is absolutely tasteless, so if you want you can add a little salt or sugar. In that case, if you don't have rice flour and cook also have no way, it is possible to do and the usual rice, which is in the house every housewife. As a rule, this recipe is familiar to many from childhood. 150 grams of well washed in cold water rice pour one liter of water. Cook the rice as usual, stirring constantly. Do not put salt. Wait until the rice noodles very much. Unlike cooking rice porridge, you'll need much more time. Rice broth should be on low heat for 20 minutes to half an hour. Then you need to wipe boiled rice through a sieve and boil again the brothe two or three minutes. You again will achieve consistency and lack of lumps. Before giving the broth to the patient, cool it and strain.